Antelope are one of the fastest animals in Montana. They have been clocked at speeds up to 70 miles per hour and can easily cruise at 30 miles per hour for extended periods. In the open prairie where antelope make their homes, they need the speed to elude predators. 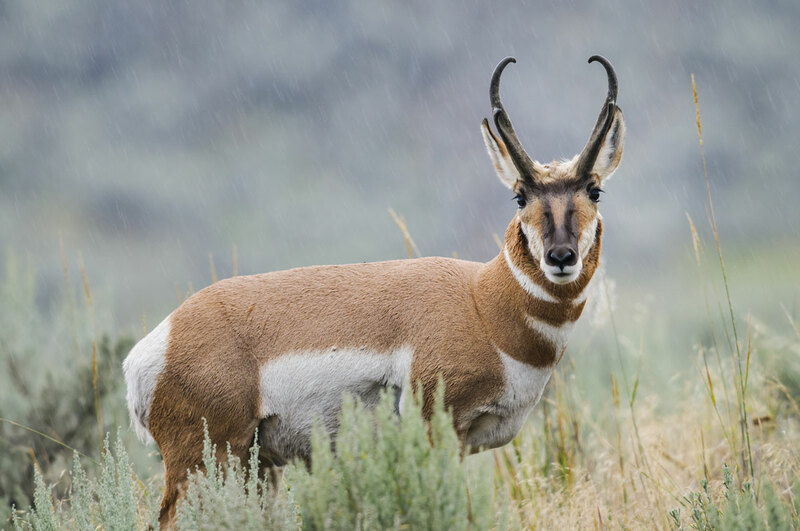 It's the only animal to have branched horns, which is how it gets the name "Pronghorn Antelope". Another unique aspect of antelope: they shed their horn sheaths each year. Antelope are easy to spot because they live in the open prairie all across the eastern two-thirds of Montana.